I’ve been promising a Victorian bustle dress to my youngest sister for quite some time, and when the 13th challenge in the HSF came out and read “Lace and laces” I decided it was time to start her off with some foundation garments. We used this pic for our color inspiration, and decided on black twill with trimmings in turqouise. I drafted the pattern and quickly made the mock-up. It fitted her pretty well, if you don’t look at all the wrinkles which should disappear once the corset is made in a sturdier fabric and have gotten the boning inserted. The only thing to adjust on the pattern was to make the bust and hip a bit smaller, and to reshape and add height to the bust for a more heart-shaped line. 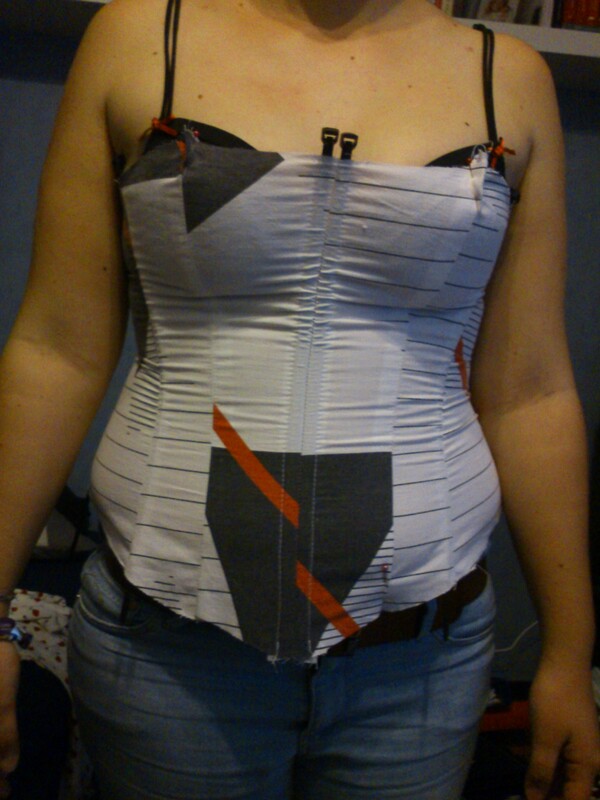 Once the pattern was done I cut the fabric, flat lined it and started on the contrasting piping for the bust. This part was the most nerve wrecking, but it ran smoothly and ended up looking neat and good. 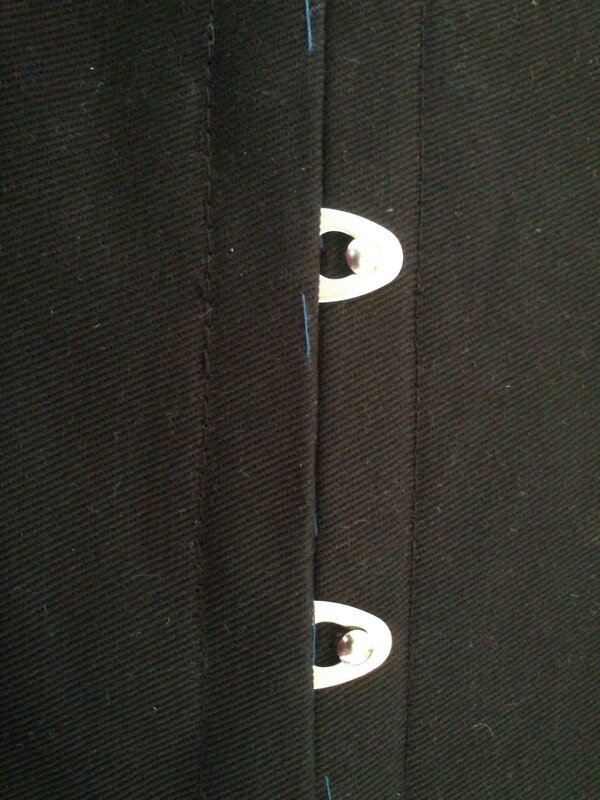 I set the gromets and the busk and then sewed it together for a try on. This time it looked pretty good – but still had a few wrinkles in the waist which needed to be dealt with. I think they would disappear when I got some heavy boning inserted in that area. 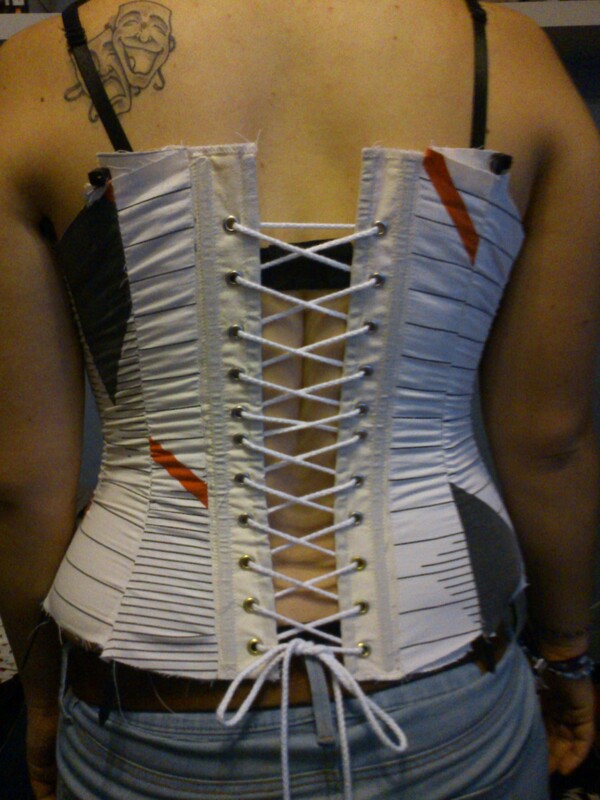 I decided to experiment with the boning, and used three different kinds of bones in this corset. At the back – where you need the most strength to take care of the pressure from the taight lacing – I used metal pipe-cleaners from a utility store. I cut them with big pliers, then rapped the sharp ends in ducktape. 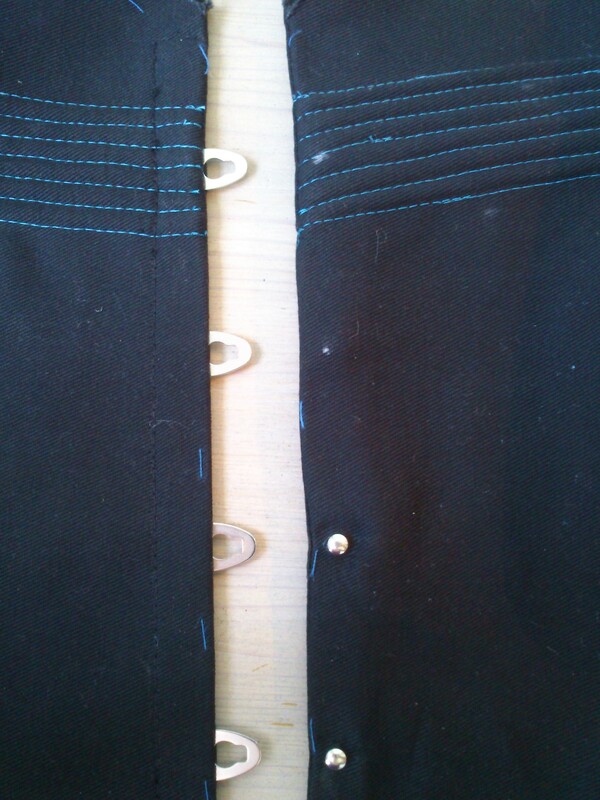 For most of the corset I used my regular boning – heavy duty cable ties. My only complaint about this kind of boning is that they are thick (0,3 mm) , and therefore steal more fabric and adds to the waist a bit more than other kinds of boning does. Which is a bad thing when you try to reduce the body measurments. For the bust area (where the cable ties were too short) I used some synthetic whale bone. I thought it felt rather weak when inserting, but it ended up looking perfect in the end. Finishing the corset went fast and I completed it in only two afternoons, sewing bone channels, bias-tape, lace and flossing, all in a crazy speed rush. 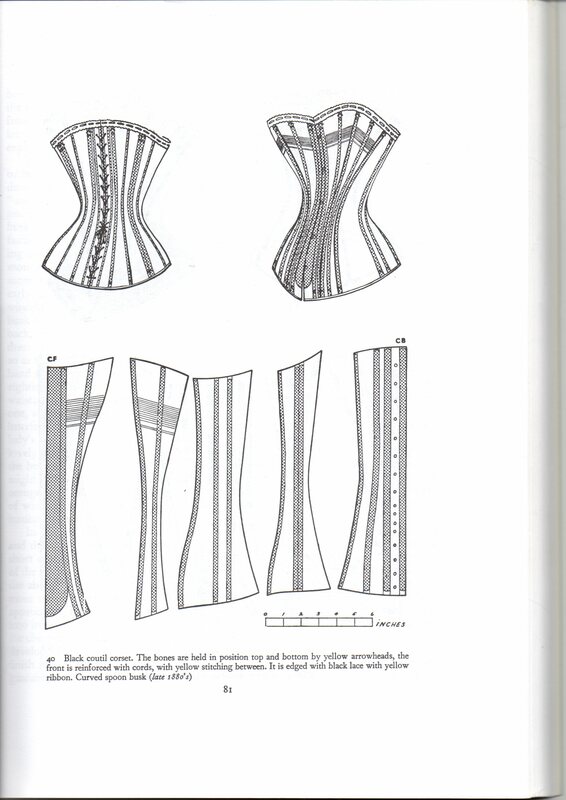 Pattern: Waughs 1880s corset from “Corset and Crinolines”. Year: 1880s 😉 (but I think the shape is good for 1850-1890). 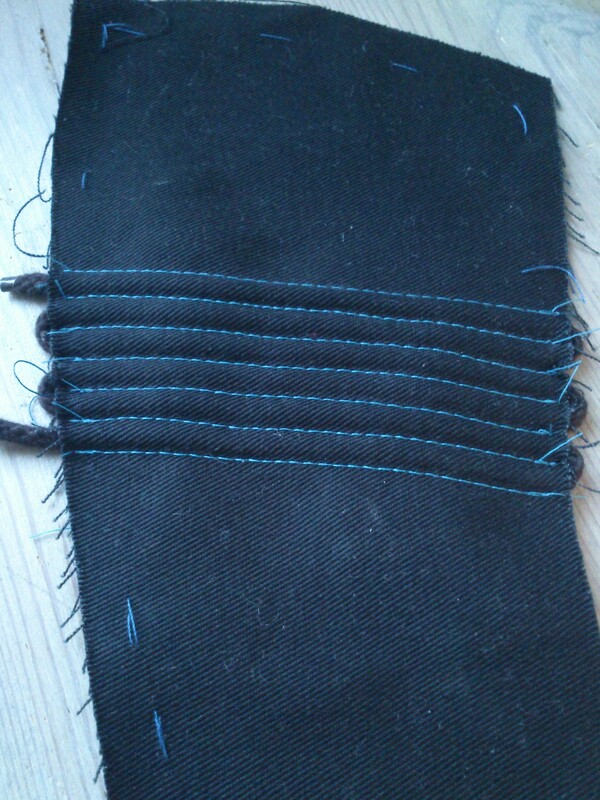 Fabric: 0,5 m black twill and 1 m black cotton for flatlining and lining. Notions: Busk, 36 gromets, 5 m of lacing cord (for lacing and piping), bones (sip-ties, metal bones and plastic whalebone), 2 m bias-tape, 1 m turqouise lace, black thread, turqouise yarn for flossing. 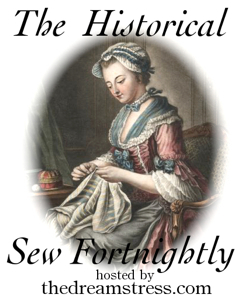 How historical accurate: Sewn on machine, with polyester thread. The pattern, techniques and looks of the garnment are pretty accurate though. Cost: 300 SEK (33 euro). Fist worn: For the photoshoot mid june. 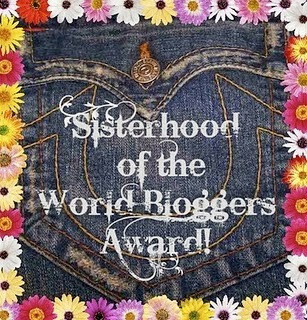 And my sister says she will definately wear it again, and combine it with jeans or with a black skirt as part of a modern ball gown. 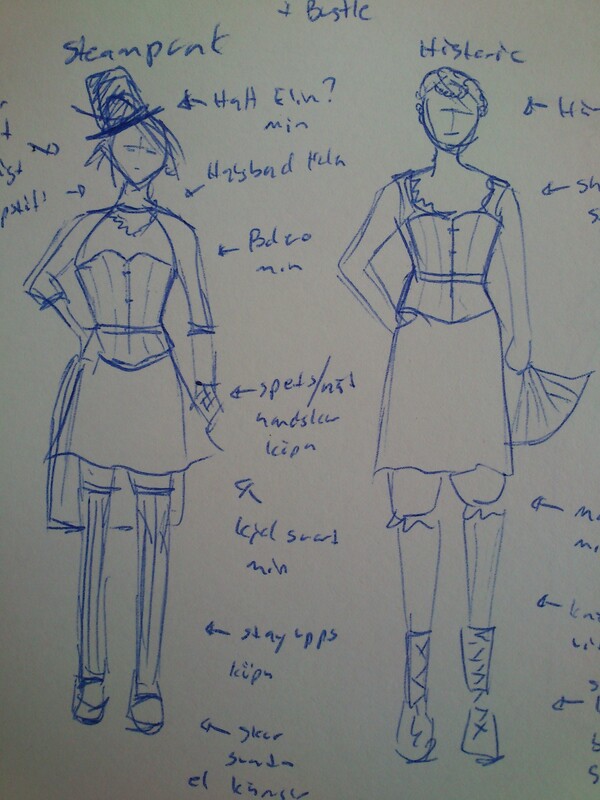 And as a teaser: Here is a quick brainstorming sketch for the awesome photoshoot we had, and which I will show you more about in my next post. 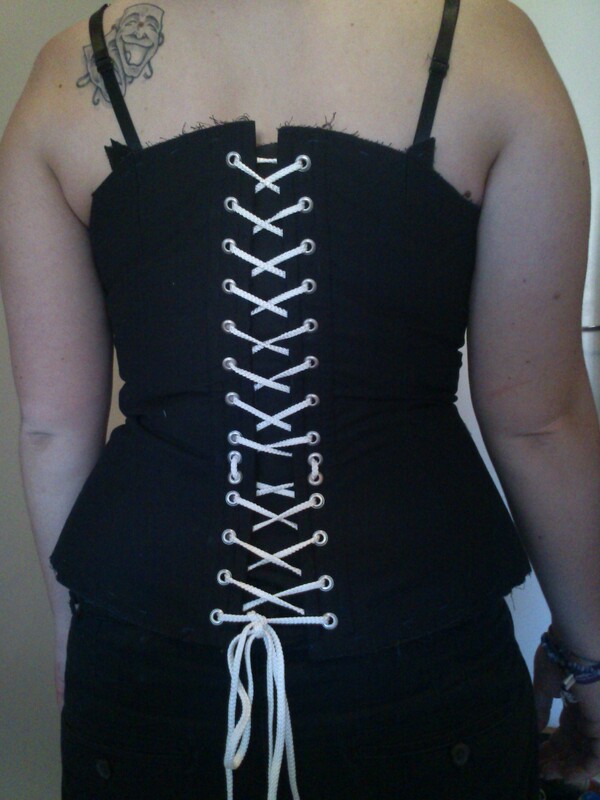 This is a lovely corset. I am thinking about recreating the 1880s pattern myself but considering to exclude the cording simply because I haven’t found any good description on how to do it. Do you feel like the cording adds something? Have you found any good source on how to do it? 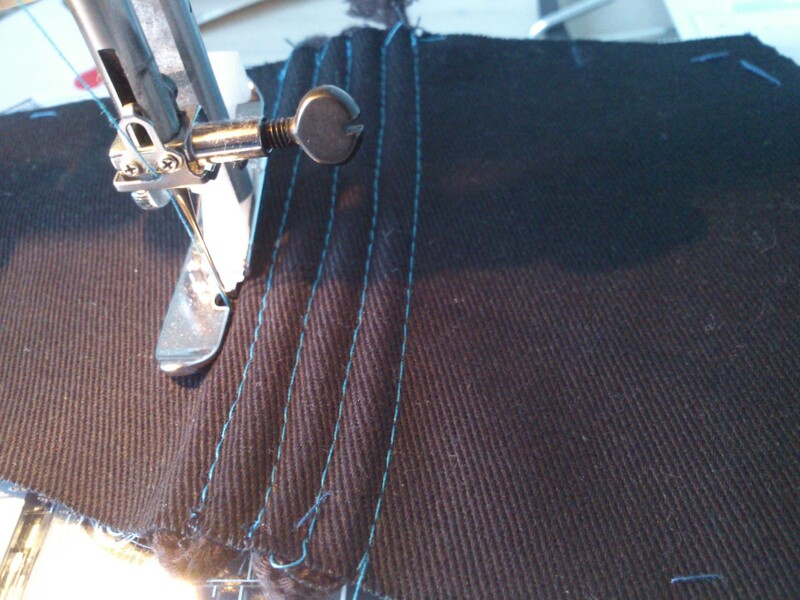 It is a pretty easy and not to complicaded corset to make, and the cording was not had at all – I just sandwiched the cord between the outer layer and the interlining, and then sewed as close to it as I could. 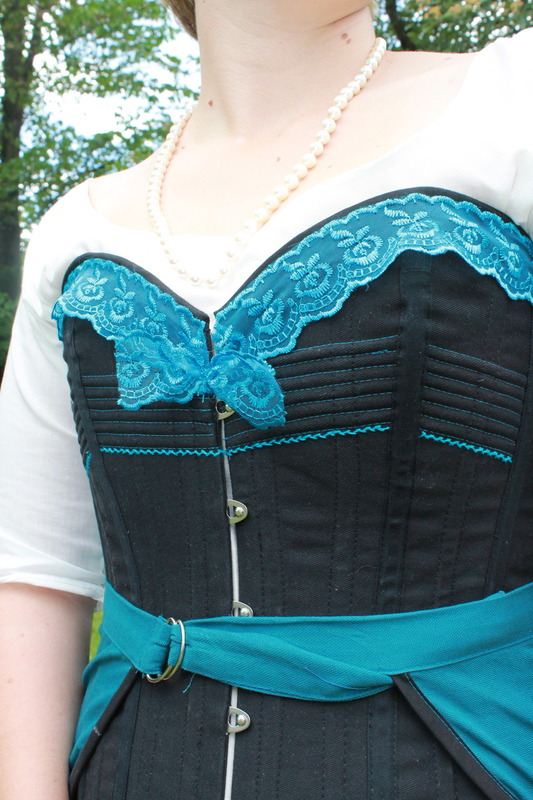 The cording helps strengten the underbust aera, which get a bit of stress when wearing the corset. 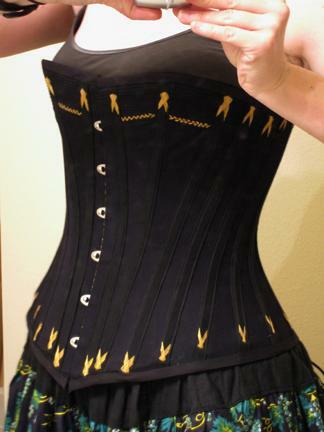 I also think it adds interest to the corset, and makes it prettier. But there are lots of examples out there without the cording – so I think you could do as you like.